Quincy Smith is spending this summer with his family in the Bay Area, but he’s hardly on vacation. Smith is preparing for his junior season with the University of Hawai’i basketball team by participating in the San Francisco Bay Area Pro Am Summer Basketball League. The 6-foot-2 point guard is playing for Bay Pride, which is one of eight teams in the league. He played his first game last week, and finished with 22 points, 5 rebounds and 5 assists. The league will continue through mid-August, and several NBA players are expected to participate, including Damian Lillard, Matt Barnes and Jeremy Lin. In between summer league games, Smith is also trying to improve as a student and athlete. He is taking online courses that will count toward his UH credits. He also said he gets “two to three workouts a day” with his younger brother, Kendall, who is a sophomore guard at UNLV. With the departure of starting point guard Keith Shamburger, Smith is expected to challenge for a starting role with the Warriors during the upcoming season. Q is such a HUGE part of returning players. Had major PT, and has the quickness , hops, and BB IQ to run point as a starter or spit time. He work on his offensive, outside shot to 3 line, and FT line 80% or better, Nevels and Smith, can be starters from day one. Bobbitt, Fleming,Harville, Stepteau, Filopovich will be battling for PT too. Much depth at 2 and 3. Quincy, wants to get better, he is all on board..here we go again fans, the POSITIVE news. Quincy, Nevels, Thomas, Fotu, all in to return and start to destroy the BWC and go to NCAA, they know something..UH MBB should be good to go! Q put up hundreds of FT and 3 pt shots, get stronger with ball, and grind, you will have great Junior season, one of the Leaders, complete confidence in the man from the Bay AREA! Lookin’ Great on Video, Q! Quincy is a crunch time performer. Can’t say enough about his will to win. I am very comfortable having the ball in his hands – when it counts: seconds counting down on the clock, or when we just need to push the ball and get some points. seems like some criminal cases are decided faster than this ncaa investigation. it seems like the ncaa, , this dragging out of probe , IS THE PENALTY..kind of slows down, puts a damper on UH MBB..however, what is good Eagle and Fans, the guys still coming to UH summer league and summer school, the returnees still working hard at home in open gym, weight room, workouts and their area summer leagues. What Does the ncaa need? maybe UH should have had counsel that had clout, they could ask that question: EXACTLY WHAT DO YOU GUYS WANT FROM US? Man, I , as well as all fans, were hoping by June 30 or first week of July the investigation would be done. Ncaa really trying to turn over every stone, until they find that nugget? It really bothers me, though the list of allegations printed by the SA online a few weeks ago, the 3 things needing resolution did not seem very serious, correctable. With this 3 time, interviewing of coaches, it seems like ncaa, wants to make sure all 4 coaches and DOBA are on same page, whether, monitoring practices, food, drink, what their duties were etc. Chris, is good, says cannot comment, in fact all of the coaches, are compliant, tight lipped, keep confidentiality and cooperative, they are not beligirent. That is a good thing as far as the ncaa is concerned, they do not want ones who are sarcastic or combative. 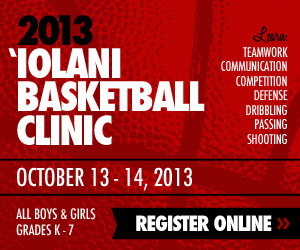 UH MBB program from top to bottom is compliant and helpful. Too bad, that Chris and Fisher still be questioned by ncaa, they want to get on with their new duties,. Sidebar: if past 4 years, Gib and staff doing something, even watching practices , alleged, or coach doing whatever..it sure did not produce 4 consecutive NCAA or NIT appearances, a WAC championship or BWC regular and tourney championships, neither did it produce every year NBA lottery picks..For monitoring, or going over coaches duties, I am sure, UH has legal counsel, and making sure every thing, if ncaa finds that UH was not doing something right, too much time on practice, or not right guy monitoring or what not, that UH will still come out okay…this ncaa , their many investigators are enjoying Hawaii, you can rest assured they are not working the case 24/7 ,..they are relaxing and enjoying the sites. Well fans..YOU MIGHT NOT AGREE..HOWEVER SO key: THAT Harville, Stepteau, Fleming, Buscher,, Bobbitt , Reyes, and Thomas, enrolled in summer school and in Manoa College summer league, that is sign that UH MBB is going to be on good stead, I would be 1000 coconuts..and if Gib pulls out of the hat that Sudanese Big shot blocker or SF athlete, a good one right fit, in next few weeks…UH will be good to go, and hopefully by AUGUST…before school starts, or maybe summer league playoffs, ncaa, release findings, UH makes corrections, and we get ready for fall camp,and November 2014 first game of season…Absolutely sure UH will be okay.,.otherwise, Ben Jay and UH admin, would have released Gib long time ago..however, UH MBB is still alive and doing okay! JMO…chime in if you want..I bet you fans are sick and tired of it already…if whatever correction penalties if any..I would want to know 2 months ago, instead of waiting 5 months..! AUWE NCAA! Auwe is right. My experience with audits and investigations is if you look long and hard enough, you’ll find something. And many times the punishment doesn’t fit the crime. Since we are not privy to the process we are unaware of the ongoing dialogue between U of H and NCAA. It would be sad testimony for all if the U of H is blind sided with a prepounderence of rule violations that add UP to a major sanction. We’ll see…. Summer league is also here. Does anyone know when the U of H players will start playing? Last year, it seemed that they started during the second week of the league. lol… will someone in those highlights play any D? Must be nice to dribble around with 0 pressure and free room to move right outside the 3 pt line. must be nice. The SF pro am is no different than the Hawaii summer league. NO D and everyone trying to get their points. I’ve watched countless games and although the competition is better the stats are still over inflated. Exactly Pono. The key for Quincy is whether he works on things that will help him for the upcoming season or will he just try to get his points and win summer league games…. I want to see him work on moving without the ball, hitting jumpers, working on his 3, jumpers off the pass, etc. One of the huge flaws under Gib is Hawaii hasn’t had a shooter that can run off screens and get open away from the ball since Zane Johnson. Probably because Zane was taught that growing up and worked on it at Arizona. Seems to me that Ncaa investigators are looking for something to justify spending all this time at Hawaii. JMO: Maybe erring on the wayside, but think Q is improving as needed. Here’s a few questions. Would Q produce as much in summer league, if he wasn’t a quality player? Or, does that mean that all players have comparable stats across team rosters? Believe the same applies to Nevels. From info provided, sure looks like Nevels, Fotu and Q are playing in competitive leagues, admire these guys for playing quality competition; only makes you better. As they say, sustain your strengths and improve all; until only strength prevails. Exactly. Well at least they got a sun tan and learned how to surf. warriorhaw and servante, and other die hard fans…very, very sure if ncaa, death penalty or 2 year probation sanction for North Carolina, USC, Alabama, Penn St, type , just horrible violations..Ben Jay and Admin, would fire Gib..Instead, Gib running 3 major youth BB camps, Akana, Benjy and Gib still actively recruiting, if possible that final Right Fit, SF or PF to shore up front court..the 5 new guys flying in first week of July..Thomas, and Jawato here for Summer, Fotu, Nevels, and Smith, all preparing working very hard for next season..
Just my guess, however, would bet 100000 coconuts and one kalua pig, that UH is being audited, and ncaa, trying to get dialogue straight on whatever, practice time, or what assistant or Doba did or did not do….If it were, the team was in commercial,,,that is major, new equipment…the team and guys, very poor, not too much material things, and hungry , ramen lunches? JMO..If the heavy hammer..and I will be with warriorhaw, FUHA, servante, I will give full support to the local park league C team, if UH is hit with major sanction probation, the violations, don’t fit the Death penalty..UH have their NCAA compliant legal counsel…make sure UH knows what and what not to do..
Darn, these guys take longer than IRS , to get our deserved refunds..NCAA investigators, maybe even families, having 5 month vacation in Hawaii…I cannot see UH getting death blow..otherwise, Ben would have dismissed or suspended Gib 3 months ago..however, he has not, and neither has Gib or remaining staff stepped down..pretty sure this involves secretary, managers, office workers, maybe trainers, ball boys, team doctor, volunteer assistants..maybe ncaa just making sure..because it is Hawaii, 100% sure, ncaa investigators milking this paradise trip..maybe the last one they will make, if in few years, there is NO NCAA…maybe a breakaway C.A.A. Division one.College Athletic Alliance for Football, basketball etc. and Hawaii is part of that..
Man, UH is so small potatoes, sheesh, let UH , the students study, and fight for championships…they never, ever had unfair advantage with their program, no 4 NCAA appearances of NBA lottery picks to show..Must be minor…Otherwise, UH counsel, if rendering unfair, get the best UH and state can afford, appeal and keep it in courts for several years, and win against NCAA, so that Thomas, and Jovanovich can graduate in 3 years, and go to NCAA for 3 years in a row..
Ncaa, rain, rain, go away, let the rainbow Warriors play another day! Boston Jake: Is Tyler Harville still scheduled to come to Hawaii, next week, early July, enroll in summer school vacation with family and start bombing the Manoa College Summer league for 40 points a game..
His arrival, plus Brocke Stepteau, Roderick Bobbitt, Isaac Fleming, Sammis Reyes, Zach Buscher and Mike Thomas in summer school plus rocking the summer league, shows UH is okay to go. As warrior haw and some others mentioned, coaches, call families and athletes to let them know what is going on with ncaa…pretty sure, if the families and athletes detected death blow..the would go elsewhere..that is why for myself Playhoopsa. KEY: the new guys enroll summer school and start playing summer league..that shows that the new guys and returnees, know nature, basically of what ncaa looking for, and it is not major….ncaa, they should investigate North Carolina, Kentucky, Louisville , U conn, Syracuse, Alabama. if severe violations..spend 5 months on tiny, super poor, near bankrupt UH MBB program and UH athletics, seems poor management, maybe micro , micro management…don’t know what is up..just hope legal team is ready to go, and fight a unfair ruling..now we have to wait another 3 or 4 weeks, shoots!! NCAA shows again why it is a parasitic bureaucracy. Man, the watergate hearings didn’t take this long! Wait, I need to ask a few more questions . Like what? Who really washes Gib’s bvd’s? These guys are a joke. Like a schoolyard bully. C ‘mon NCAA, just give us our ball back so we can play . I think UNC may have something for you to look into but I won ‘t hold my breath waiting for that to happen . I think they are shooting for the Guiness world record for slowest investigation. So far it looks like they are a lock for that. Thank heaven for summeleague so we can focus on the game instead of some lame bureaucrat . Hoosier good points: if they are working for private investigator company, insurance or even possible criminal…if the FBI or HPD, they would be taken off of the case..and the darn irony, UH is a dues paying NCAA member, the fees and monies the contribute to ncaa to be member, is being used to pay for investigation..we should find out the names of all the investigators, and have them audited, is it justified, to stay in nice hotels, fine restaurants, tours, beaches shows, mai tais, luaus, really sure those investigators are having the best assignment in the NCAA membership..5 darn months in paradise, and 3 times, not 2 times, however 3 times to investigate interview coaches..
What a waste of time…UH should have super alumni, UH school of law former alumini, pro bono, go after ncaa, if it is frivolous sanctions. still think, Alabama, North Carolina, U. Conn, etc Penn St. the worse terrible situation, and ncaa trying to find out who watch practice..
Gib Stand and Fight the bully, what a waste of time, and perhaps affected recruiting of two bigs., Now if in a week or two, Gib surprises us with great SF or PF, if possible…ncaa take that, UH is okay and ready to rock and roll. I still get 100 haupia, 300 sweet potato, 1000 spam musubi that UH does not get 2 year sanction probation, maybe have to work with that ncaa compliance person, and who logs down, practice time sheets…sheeeets! PLAYHOOPSA – dude, comment much or what? Dang. Half the comments on this website are yours and they all say pretty much the same exact thing. Warrior Nation: thankful to good man Dayton Morinaga, I am always defending UH MBB and whomever coach, very positive. Dude if you NO LIKE read my posts, or you have nothing to contribute, NO NEED read or visit. yeah. Dude, if no like Positive vibes, and just letting out , venting, for Gib and team, whom I am sure appreciate the posts..whenever you see my posts, no need read, skip em..I know that warriorhaw, servante, tako, they know I am super fan….and we need more like that here,. Dude, man or lady fan,…just support the site and coach and athletes.,,until Dayton puts a gag on me, I will post, and keep the flame for UH MBB going,..
as I say, no like my posts, even if repetition, have Dayton gag me..myself, al, Derek,servante, joy, Eagle were some of the first to post comments, when no others were..we would even post if not MBB related, just a barbecue at Gib’s house. I love UH MBB, so Dude, take it or leave it…I am sure you love BB hoops UH MBB too. ..chill, and keep on supporting the bows..if Dayton, delete me, flag me down, I will quit posting.. however, I am going to keep on posting what I think will support team, Dude, or Dudess! Playhoopsa, loves UH MBB , and that is a good thing…ncaa cannot stop me, neither can negative nancies, give me a break Dude! Playhoopsa: yes Harville still coming. Be there Sunday around 2pm last I heard. Plans on playing next Thursday & Saturday while family is in town. His friend says he is enrolled for 6 summer hours. I was telling some coaches up here yesterday about your summer league. They like that idea but AAU never ends here on the east coast. It’s out of hand. They were asking what kind of attendance do the games usually get? Do fans pay? If so does the money just go to the owners of the facility? hey friend and UH fan, really appreciate the early video link of Q doing well in Bay Area summer league. That dude is working to be better along with Nevels, those two guards will be really good, solid for Gib. Thanks for supportive Positive MBB comments. we need more on this forum, not just me, for those silent majority, speak up, and post positive comments, must be hundreds that view this site daily. Mahalo to WI and Dayton, the Schmidts! and thankyou , Mahalo again..fjklmsfnjfl !! Dude, please go over to the other board and be with your friends who regurgitate the same old negative BS. They have 5 or 6 guys who do this. You can also be one of their clan. Yes, playhoopsa is a superfan. But he also realizes the situation we are in good or bad. No matter what, he support is undeniable. hoopsa brings alot of incite as well as information as only a seasoned supporter can. And I enjoy his readings. Sorry. Meant to say insight. no admission, Free past some 38 years. Tyler will enjoy the islands. he get stronger and learn how to defend bigger players, because UH just lost two preferred 3 ball gunners , transferred to smaller schools for PT, nice kids…Harville and Stepteau can show Coach what they can do, like all young guys, have to hit weights, eat right, don’t party too much. do well in school, take care of ball, listen to coach, and hit 3 ball and FT’s..two preferred walkons played quite a bit last year, Valdes SF and Enos, SG and PG. if new UH guys playing and doing really well in summer league, the real died hard UH fans will be there , at least a couple of hundred, when games move to HS private school gym for playoffs, they will have bigger crowds, Honolulu is a football town, however the UH football team went 1-11 last season, and they have tougher season this year…so lot of UH fans are moving over to watch UH MBB.. Thanks for the aloha Jake! Can’t wait until the season starts. If one takes a look at this upcoming Big West Conference season, the top echelon looks to be much better which should propel the Conference Ranking. On paper, the team to beat will be Long Beach…they will have 7 seniors and 5 senior starters with two 4 star recruits, (1 will have to RS), and a majority of high 2 star recruits. Last season’s youngest team was Irvine who actually has gotten taller this year and will be in the fight for first having matured. Don’t count out UCSB with Bryson and All American, Alan Williams. UH will have only one senior, two returning starters, and lost over 50% of their scoring and rebounding. Our pre-season ranking should be in the middle of the pack. It will be hard to beat that pre-season record of last year with so many guys learning how to play with each other and most likely a tougher schedule. However, if the team begins to gel by conference time, we should be able to beat anyone with even better things to come the following year. Let’s see who will step up at the leadership role this year. Isaac Fotu come back as that 3/4 explosive 3 ball shooting run and finish at the ri. And one of the better defenders,, he could be 20/ 10 guy..
Nevels gym rar..explosive better defender finish at rim..he possible first team BWC First teamer with Fotu..
Q smart bb IQ..HE score better from outside,, there you have 3 experienced bwc warriors…good foundation..
then the extra special weapon..now 6’7″ 215..can play 1,2 or3 grat court vision and 3 ball range to near half court..thedifference maker Negus Webster-Chan. I like that 5 because of exoerience to start season..add bobbitt..reyes..flemin..valdes…jawato mid december jankovich..with 100% max effort by 10-12 guys every game uh mbb can beeat all bwc teams here and on the road..no question…long as guys team and effort.. Beat writer Brian McInnis gave good rundown ..good spirits about uh mbb team and team..thought great summer league we get preiew of reyes..fleming..bobbitt..harville..buscher..thomas and enos..mentioned guys retrned home working out and all would be back in fall..did not see filopovich on summer league roster so not sure where he is..jmo..wonder if nikola coming back he is preferred walkon..jmo..
mentioned about pitt game vs uh on maui..and byu game in utah..uh netral court game against wash. St ..in seattle..brian sounded really upbeat..only thing the wait for ncaa findings. No guessing about it however no doom and gloom thought about outcome..just wait..otherwise he ain’t calling for gib’ s head..that wsas agreat report by brian m.. very positive..I would like to heazr see gib on wi video..he give us lowdown on final recruit..if mcinnis upbeat..uh mbb good to go..jmo..still I bet that 1 million mangoes uh mbb disciplined and no probation..
That report was last ten minutes of sports animals today..anything I missed gang..did catch whole interview..
McInnis says he expects penalties such as reduced practice hours and a certain asst coach being suspended for games. The longer the investigation takes the more worried I get. If we can land Senique Carey that would be a big hire and definitely help recruiting. Thanks for the recap playhoopsa and pono. If BM is still upbeat, I take that as a good sign. He is very close to the program and seems to be fair. I met him once at the summer league games. Nice and knowledgeable young man. I believe that our bench will be the difference for our success this year. I have no problem with Mike, Aaron, Reyes or Bobbit as the sixth man. PONO…Thanks fot the most important information of the day.. Just came home when I remembered to turn on last few minutes of animals..missed that part..huge mcinnis is beat writer and is usually close to whatever happens to uh mbb..PONO..For uh mbb fans that penalty is what a lot thought from beginning..that is why gib could keep smiling during summer..NO PROBATION AND INELIGIBLE FOR POST SEASON..warrior insider nation happy..I think gib and one assistant and office staff have to do some beat irvine magic..secure last athlete..if can..and short list for doba and carey..gib thrives on it.. 5..4..3..2..1. Gib shoots 40 foot 3 pointer and comes in just in time to get recruit and assistant and doba.. servante..warriorhaw., fuha..tako..al..jjay..tavs..derek..anderpops eagle ..pocho..whole uh mbb fandom..what a relief!! Gib has assiistant and final recruit and doba ready to rock..all can say uh mbb and compliance officer don’ t do that wrong again..
That is what BM thinks, it may or not be what actually happens. As long as there are no post season bans things should be OK. It will be hard to compete if they suspend a coach and take away practice time. Pono…I am confident those penalties fit the crimrpe…probation and post season ban does not fit errors..
might be blessing..remember last year gib was thinking maybe guys practice workout too much and burnout..have less practice..scheme video ..and the returnees nevels..smith,, enos..fotu..jawato..jovanovich..valdes..have one year and some 2 years in system..negus..jankovich..filopovich rs year in system..that helps..have to get 5 guys up to speed..
Good news from Boston Jake: Tyler Harville will be here landing in Honolulu Sunday June 29th 2014. plans to play Thursday and Saturday summer league games. Well Jake, let’s see what Mr Harville has got..reminds me of when we heard of a 5’11” guard in the old Hawaii Armed Forces league about 37 years ago, averaging over 30 pts a game, and getting into scoring duels with Dwight Holiday, that young man, Henry Hollingsworth, when he was on, he could shoot that corner shot like money,. If had the three point line, maybe Henry would have averaged 20 ppg. sad he got caught in the old original thing with the police enforcement division..That is why UH MBB kept really clean for nearly 40 years. The penalties fit the crime or violations. Loss of practice time, sure that is hard, however can work with, and suspension of coach, penalties fit the violations. makes sense..if it were Penn. St, Alabama, or North Carolina, U.Conn, type, then serious probation. Even ncaa, the penalties must fit the violations, otherwise, UH would appeal and hold it up in court, which they won’t do, must be hard personally for Gib, however he staying very positive, I give he, his family and Benjy and his family, even Akana credit, for still recruiting, and running the great summer camps for the kids..Gib keeping it positive, so that new and returnees will battle for that NCAA bid, which I believe they will get..penalties, have to deal with, however if UH allowed to compete for Post Season tourneys, UH will win it..I believe it, why not UH MBB even though a rough go, as Negus says, why aim low, aim for high goals, NCAA national champs..would that not be something..2015 NCAA D1 champs, the University of Hawaii Rainbow Warriors. Jake, we await, Tyler Harville and soon Brocke Stepteau, with room now for more preferred walkons, the battle is on..Tyler and Brocke grind, and work hard, and bomb the threes! Henry Hollingsworth brings back fond memories. I call that time the Romantic period. It started with the Fabulous 5, followed by the Henderson/Wilson era, and ending with the Hollingsworth/Carter/Lett super freshmen recruits. Those years in the early 70’s there were a lot of under the table dealings with just about every school since the NCAA did not have the rules and regulations that they have today. The only reason why UH got investigated was because they made a car commercial featuring some of the basketball players. That was a very obvious violation and the commercial was just the tip of the iceberg. When UH got put in the dog house with no post season appearance for 2 years all the players bolted to other schools. It was a sad day in UH MBB. That team had so much potential and those 3 guys were only freshmen. I don’t think UH ever recovered from that blow. But now I believe that we are on the cusp of a Renaissance. Just like the days in the 70’s we got a super recruiter in Gib Arnold. This will be his 4th year in Hawaii running the program and tweaking his style of basketball which is pressure defense, and pushing the ball. I am crossing my fingers that this is the year the coaches and players come together and UH basketball will once again take its place among the premier teams in the country. UH football went undefeated and went to the Sugar Bowl. Now its time for UH MBB going to the Final Four. Dream big! writer Brian Mcinnis stated on sports animals exactly what you surmised..on the negative blogs they must be having an ulcer…same with Eagle who very carefully reasoned exactly same as you..minor not major damage..one more..really a third confirmation..came from northeast..Jake..he said from beginning of investigation..would last through august..might cost assitant job or suspension..and hawaii would not get heavy probation..uh mbb would be okay however length of ivestigation hindered uh recruiting..also he said in mainland and his east coast contacts said nothing big to worry about for hawaii ..probably why fleming..reyes and bobbitt all kept commitments, ,, one last source..warriorhaw said recruits and returnees are much closer to situation..they more than man or woman on street about ncaa thing..
so..that is 4 respected sources who came to same basic conclusion..gib has to eventually look for doba and good assistant for bigs..gib such a fighter and loves hawaii and bb program as much as any uh mbb coach..
totally confident..though we have to wait uh mbb..coach ..office and staff will learn..and come out stronger..2015 U Conn? Why not! Since we are talking about the old guard, Clarence Dickerson and Aaron Strayhorn come to mind. servante. : yes remember that period the car commercial with the radio personality. So obvious and reported really fast to ncaa. really PUPULE! When UH went into that 2 year probation, and Lett, Carter, Hollingsworth left, UH MBB really went down hill. I remember guys that did stick it out, Gary Gray, Packy Ryan, George Ritter “Ritter’s Sitters”, I think Al Menendez recruit Ed Torres 6’8″ forward from NY, might have stuck it out for one more year. I think they had Wayne Crowe, John Moore, an Adrian Dantley type, good player on the low block with that 15 foot turn around jumper, wide bottom, played one year then academic casualty, and of course Mr HeadBand Gavin Smith, made things exciting..the original 30 foot bomber.You know you are a fan, ..those were the two years, I still had season tickets to. Larry Little was the new coach. What a challenge, take over program on probation, later he had some decent talent, Riley Wallace his assistant helped him recruit, or bring transfer Aaron Strayhorn from Centenary, Racky Sesler, Tony Webster, Pop Dickerson, Rodney Jones, Brad Pineau, David Hopkins, Eric “Slim” Bowman, Little Joe Frazier, JC All American Thomas Louden from NYC, later Bobby Hancock, the talent got better, Little had at least two 17 win seasons, however the magic number might have been 18 for the NIT then..Little ran a clean program. Frank Arnold did too. Then the turnaround NCAA of the year coach and team, after a 4-24 season, Riley Wallace..clean program, Bob Nash, clean program, and then Gib. clean program, however mistakes correctable made, and whatever penalties come with it. I trust the insight or warriorhaw, servante, FUHA, Jake, Eagle and especially Beat Writer Brian Mcinnis, most importantly UH gets to play Post Season,..most important for team new and returnees. tako and servante, I really believe, Gib accepts the mistakes and penalties to be announced, he is such a scrappy stand and fight guy, he will bring the program up a notch, maybe even this year. prove to the NCAA, UH MBB is running strong, will be more diligent, get new coach and doba, and perhaps, still that Sudanese, or Toronto, or Northeast late commit, SF or PF..Gib you cannot count he and program, the guys out…most importantly even the guys that have left, were basically good kids and great students, the remaining team, still were and are good buddies with them. Hawaii, to ball, and win championships,..what nicer place could there be..With Negus leading the way, along with Nevels, and Smith two very, very smart athletes, and super kiwi basketballer deluxe, Fotu, UH will be doing major damage to NCAA D1 opponents.. totally confident, UH will work harder, out work and out coach, and out play other teams for a great season..
Hey fans, it starts this Sat June 28 2014, Tyler Harville the 3 point gunner comes to town with folks Sunday June 29 2014, and cannot wait to bomb away this coming Thurs and Sat in the summer league, he and Stepteau, replacing Hackman and Harper, don’t know , unless you all have heard if Niko is coming back? However. if he doesn’t , I hope he does, more opportunity for Brocke and Tyler! The New Breed for the 21st century…and remember fans, Gib won so far 72 games, average of 17 wins, and two pay for play CIT tournaments, and this past year, historic, whatever competition, still tough to win 20 games, this past season. Go Rainbow Warriors..as soon as we see the video updates, on Manoa College blog and Dayton’s , if he can interviews, write-ups or videos, we can focus on Basketball again, the ncaa thing will resolve itself in several more weeks, or hopefully by end of July! Actually Gib did good job past four years, scramble gamble recruiting,and as was mentioned had to take some head cases too, however, each year, at 19 wins, 16 wins, 17 wins and finally 20 wins, for an average of 18 not 17 wins per season, either injuries, mono, or other …UH was so close each year to get to 20 wins, ..wow.. I would bet another 1000 bananas that finalizing the contract was tied in with decision with ncaa for gib, however, now, next week Monday is June 30th, …Jay has not completed some other coaches contracts too. Ben has to get hustling, the UH coaches across the board are good..FB and BB, well they have to start winning and fast..Gib with all going on, and he , you know he is being super contrite, polite and compliant with the investigators,same with his staff, ball boys, trainers, and what is the name of the compliance officer? as well as great basketball secretary. So key , the demeanor and respect show to the ncaa, if you are not, perhaps antagonistic, or combative, ncaa, will find a way to hit harder, however, you can bet, UH MBB program very nice and cooperative with ncaa investigators, hey they are becoming kamaaina already…hope they leave with a pleasant feeling, and dole out a kind finding and corrections, which they will. loss of practice time, a real challenge, the guys on own have to remember coaching schemes, get up shots themselves, , and hit the weight room. Fotu, Nevels, Negus, Smith, will show the way, those are the leaders! Go Rainbow Warriors, big challenge, however stand and fight and come out right on top of NCAA ..as 2015 national champs..why not UH MBB? 1 more scholarship to give up until start of Aug fall semester UH. In past MBB had I think 14 or 15 scholarships, with one or two walkons, UH MBB unique in having up to 4 or 5…wish that at least one walkon was 6’8″ …a real banger, though slower of foot, a man’s man, Tyler Brown, who will be in summer league, that is a gentle giant who could bang and dish out to Vander! Ha! Jake: let Tyler and his family and friends know, right now in Hawaii, Honolulu, beautiful weather, high temperatures, around 87 , 88 degrees, 57% humidity. Nights, about 70-74 degrees. For June, excellent weather. with Light cooling trade winds. Some light early morning showers and light evening showers. Very nice moon in June weather. Because it is hotter than Northeast or Kentucky, tell Tyler and family to drink a lot of water. So do not dehydrate, especially since Tyler is a runner to spots to get off his 3 point daggers. So important, he and Bobbitt bond, along with bigs on their summer league team. Tell Tyler to relax , the 3 point shots will come, even if he starts off missing first 3 shots, he could hit the next 5 in a row, shooters have to keep on shooting..If he shows good form..though coaches cannot , because of ncaa rules, watch UH players in summer league , they will hear from other fans, who knows, maybe will go viral on some uploads on YouTube if Tyler goes off for 40 points.. I do not know if coaches can watch the video uploads, know that it is not live in person..However, introducing new guys to team , staff, and Stan Sheriff Center, and UH practice gym, weight rooms okay..Now with ncaa thing, UH has to be really careful, how much practice time, working individually and who is doing what..Ncaa, kind of nit picking however, that is why they are paid the good salaries in Paradise no less. We await Tyler, if he sticks it out, along with Brocke, or this spring they decide to move on, they will never regret the one year stay in Hawaii, very unique, tell their grandkids, we played ball for one year in Hawaii Nei! PLAYHOOPSA, so I’m a newbie basketball fan just because I’m new to Warrior Insider? I wonder what that makes all the other old-time UH basketball fans who’ve never visited this site. I’m not as big a fan as you because you’re older and were alive in the 60s? Does that make people who born in the 70s,80s,90s,00s lesser fans? I read the last 10 articles and all your comments are more or less the same. It’s overkill and I’d be ‘weirded’ out by you if I were a UH player. Maybe not weirded out but I just wouldn’t take you seriously and just think you had issues. Please, do you know who is this athlete? 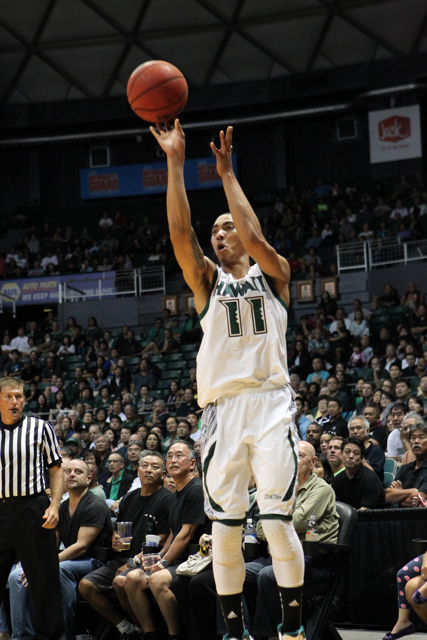 He is on the Manoa College Summer league roster for 2014. Deante Hearn 6’4″University of Hawaii…possible walkon, or just a student? Maybe mistake and he is from Hawaii Pacific University? Just wondering. Thanks in advance Dayton! So, where is my ignore button? warriorhaw, don’t worry, you are one of the good UH MBB fans, just like Eagle, Derek, Tavs, Pono, al, jjay, servante, FUHA, Aussie Mum and family, anderpops, palolo warriors, pocho, tako, etc, I am sure there are more positive on board, and promoting and with Gib and the MBB program than Warrior Nation..he can be with the other blogs..maybe too much good vibes here, so he wants to cause the cloud of doom to come here, I remember Dayton had to actually contact a so called MBB contributor who was getting to over the top, in negativety, because, this site, a lot, many young ones, view the site too..Some of the youth, they don’t care what warrior nation says, they enjoy the players, Gib, the games and the autograph sessions,, and a key, the full 3 summer camps. Let those negative persons, wallow in their own negative world…sometimes I think it is a joke, a bunch of 20 year UH coeds who want to stir up some things in a slow summer time for news ..
Don’t worry warriorhaw, we keep on being positive, I was encouraged 4 years ago , by Eagle, to keep comments coming, don’t let each topic have no or one or two comments, so now, I contribute..I wish the other hundreds, who have positive things to say, will post, don’t be afraid..as Dayton, moderates, even my not too concise posts, some of mine do not make it to forum, that is okay, I will support WI, Dayton, and thank Valerie Schmidt and the Schmidt Ohana for a Good UH MBB forum, those other ones, are really downers..some other universities, downright vulgar. I see Warrior Nation, I don’t even read, however, I see warriorhaw, Hoosier, Derek , al, jjay, Tavs, servante, pocho, Fuha, aussie mum I do..
Hey Warrior Nation…if you want to post more than me feel free, just trying to keep flame of UH MBB going, you have something positive to say..free forum, and I am not saying anything negative about Gib , the kids or the program..
Gotcha playhoopsa. No worries. Just hate to feel that I wasted more of my time on one paragraph than all of your posts combined. I just done watch a bunch of highlights on You Tube from Rainbow Warrior. Had Nevels, Q, Aaron and Fotu. The guys coming back. Been concentrating on incoming guys alot. Though I would refresh my memory on the returning guys. It was like watch dunk city. Add Negus, Stephan and the the new comers, wow! Looks like a highlight team. I remember past teams that not alot of our teams dunked much. Good teams , but not dunk much. Can’t wait for season to start. Those videos got my juices going again. warriorhaw, no problem, I gave Warrior Nation(think he or she might be pranking us, trolling just to complain about amount of posts, sheesh, I am sure,Gib and team and WI is happy that we keep the positive comments and interests going in middle of June! Usually super slow College BB time, until summer league starts. I knew, Warrior Nation, he or she has nothing good to say,,I gave them 50 chances in a row to post..NOTHING,,but silence…I don’t look at their posts, and they don’t have to read mine..myself, I am able to, since in home private office with family computer, and on business, so alternate, posting..I am keeping abreast of anything happening with UH MBB for the good, or otherwise..we love the hoops! same with pocho, Tavs, al, jjay, servanted, anderpops, Derek, palolo warrior, Tonganator, Aussie and Ozi mums, Fuha, and a lot of others who read our posts however, don’t comment, that is okay, there is a lot of interest in UH MBB now. i.e, the full 3 basketball youth camps, the 5 new guys about to arrive within a week, the new recruit, if Gib can find him before start of Aug fall school session, the finalizing schedule, looks like a good one, too bad, Pitt on Maui, BYU game in Salt Lake City and the Washington St game in Seattle, wonder if Gib is working on my dream matchup, Sham vs his ex team, Mizzou vs Hawaii at SSC, that would rock the house. Definitely, Nevels, Smith, Fotu., Jankovich, even a stronger and more confident Jovanovich and Thomas, Valdes, flying high, Sammis, Fleming, Reyes, and Buscher,all around game, Harville and Stepteau start hitting the threes along with a healed Jawato.. no wonder on the sports animals show yesterday, even Brian McInnis was very excited, especially when he was viewing the ncaa rulings, as not being death or 2 year probation type blow.,lesser, however will hurt some, yet UH will come out better and stronger. I am not a BB guru, player youth, HS and business men BB leagues, until damaged both knees and back, however love UH MBB since 1965 or 66..when middle school. warriorhaw, keep that positive vibe going…Servante will do the same, and PONO will do so with hope for the best, there are more positive guys and gals on this forum, and we know Valerie Schmidt major sponsor tries to read all of our posts, that is why we move in the Positive direction..she and Schmidt Ohana, and Dayton make it possible for us to contribute to the GOOD MBB forum, not that, negative, depressing, regressing other blog sites, who love to knock guys or programs when they are down..the kids, or young men and women, and the good HC women and men who run the programs, including Ben Jay, are doing great job..the young people are taking more courses and harder ones than I ever did..
Playhoopsa. Is there a way to know when 1420 will be talking about Hawaii BB? Also, I passed your message about the weather and scoring 40, etc….to Tylers friend. Just got a message back that said he checks the weather in Hawaii every day he wakes up and he says he doubts he shoots enough to score 40 but he says have no worries about him being shy if he misses 3 in a row, etc…He always believes the next one is going in. Says he would like u to say hi to him at the game next Thursday. Says he very much appreciates your enthusiasm and he can’t wait to get started. Says he plans on being a great teammate regardless of how soon he gets a real chance to contribute. remembers..so I cannot get out..senior taking care of older senior..
Jake tell tyler no pressure just relax and have fun..last year quincy smith scored 41 pts first summer league game.just about all layups and ones ..because qincy is quick..tyler and stepteau just have funn..that is why everyone in that league can score at least 20 points…don’ worry several of wi fans and uh mbb fans not on this forum will introduce selves..especially they cheer on uh mbb guys..tyler don’ worry .you hit 3 or 4 threes couple of layups and freethrows..and able to handle fans will be happy..not a above the rim talent guys in hs and older guys close to 40..compettive..stay healthy and you and family have nice vacation..hot yet trade winds beautiful beach weather..better than 9 degrees Fahrenheit. Will see you when media like dayton interviews you plus summer league games archived on manoa college summer league site and if dayton can..he will video hilites..
welcome to hawaii and have great experience!! Jake..you could try espn kkea 1420 online google..usually every friday at 1000am hawaii standard time..so 6 hours behind east coast..4 am est…show On Point with Artie Wilson which you could call live,, the audio feed is live over internet..artie wilson is one of the coaches of the sum er league teams and a former uh mbb guard graduated 1974 and backcourt mate with tom henderson 1972 olympian and nba world champion with washington bullets inseventies..
also..12 midnie est m-f bobby curran from ny a hawaii resident has am sports talk show 1420 espn kkea streamed online..he is radiobroadcaster for uh mbb..
so 1420 espn online stream radio good source for uh mbb.. Sorry Jake..forgot usa mainland is ahead of us in time..
all on 1420 espn kkea online radio stream..believe yo can call into to any show..
Those shows as ncaa thing conclude..if gib signs big and season approaches or special call the coach with gib they would announce..
Yikes, Brian McInnis is saying Reyes might be dicey for summer session and summer league. Hope he at least qualifies for the regular school year. Gib has to take the approach, if only Fleming, Bobbitt, Stepteau, Buscher, and Harville are here and qualified to enter summer school and summer league, so be it..cannot mess around..get ready, whomever eligible to battle for that NCAA bid.. This has to be the most challenging part of Gib’s life as HC, for sure, he comes out with an outstanding record, Post Season big dance bid, and great finish, with guys like Nevels and Jawato graduating within year…it will be his best year as HC coach in 5 years..one for the ages..
Stay tuned…if Sammis is not academically ready yet, hope he can qualify for fall..otherwise, Gib and Akana, Benjy, go searching the planet for 2 bigs pronto, fast kine! I don’t recall the last time we had 2 marquee players and possibly 3 on the same team. I think Fotu has proven himself and will only get better in time. Ditto with Negus Chan although we haven’t really seen him in action much. But from what everyone is saying he is star quality too. And the supporting cast is not far behind. We could be like a lot of teams that came from nowhere: Wichita State, Baylor, and Butler. I really think that this year we can have a 9 or 10 rotation without losing a step. Then we can pressure the ball throughout the game if the opportunity presents itself. A great defensive team can disrupt the rhythm of the other team. Last year we showed that we can put up numbers. Let’s hope that we can do it again and be the show stoppers that champions are made of. oh boy! Brian McInnis reports that Sammis Reyes has a lot of work to do to qualify to enter UH. He will not be here for summer session or summer league. He hopes to get things done academically and be in school for Fall session. What we been through WI UH MBB faithful, with the returnees, the 3 walkons, and Bobbitt and Fleming, we just go from there…don’t worry be happy…ncaa thing, resolve itself..don’t worry be happy! With Gib, it is always interesting. I think he will do his best coaching and managing program in his 5 year stay. guaranteed. servante always positive, so is warriorhaw, eagle, anderpops, tako, and hundreds if not thousands, more…not if only UH WVB and UH FB just go undefeated..wow! Nah, I support UH MBB, even if only 10 guys on team along with Negus, Nevels, Fotu, Smith, Valdes, Jankovich, Jovanovich, Jawato, Filipovich, Harville, Stepteau and Bushcer..UH will still be good! was really looking forward to Sammis tearing down some rims, with power dunks in Manoa summer league. Now he has to slam dunk those NCAA, and UH entry classes to get into school by fall..Gib, has to, no turning back, get another Big who is good academically qualifies immediately for UH entry, and can block some shots, get rebounds, a journeyman, even if a work in progress, otherwise, start of this November first game of season, UH will have only 3 frontcourt players, Fotu, Thomas, Jovanovich…until mid December when Janks is ready..sheesh, small ball..can do, however, those 3 bigs have to stay out of foul trouble. Gib go get another big, Gib go get another big, that is the mantra, it is do or live time..You can do it Gib, Akana and Taylor, lock in a good big, not All American, just a 6’9″ guy who can defend! Sammis hit the books and hit the weights, and run open gym, if it is your dream to win championships and go to NCAA’s for four years straight, get your academics in order, all up to you Superman Sammis, you can do it..
Gib get another Big..got to! I hope Gib , Akana and Benjy calling and working Toronto, Northeast, Vermont, and Delaware, D.C and Florida areas for very late qualifying big, if Sammis does not get in..I hope he does..if he puts as much effort as he does lifting weights and eating good healthy food…We need a big…Just hope, Gib has another 6’8″ or 6’9″ work in progress, good footwork , teachable, big that can learn to defende, good bounce, from any where in world, he has a little over 2 months before school starts in August to find one..Gib you gotta get a Big..gotta get a Big..shore up that thin frontline! now those 3 ball perimeter guys, have to hit good percentage from 3 line and FT line..including Harville , Stepteau, Enos, Nevels, Smith, Negus, Jawato, Buscher, Bobbitt, Fleming..Filopovich.. become so valuable if UH is short on bigs…those perimeter guys have to take care of ball on offense, and defend, get deflections steals, and trap ball , pressure on and off ball, small ball with two bigs..UH can win a lot of games, however when NCAA tourney come around, UH needs at least 6 rotation bigs, JMO. Hoping that Sammi makes it, would be surprised if Coaching staff was not aware of his situation. On the positive side, he seems to be making progress to get qualified and be here for Fall semester. When he arrives in Fall let’s hope he’s academically “sound” since he won’t have the benefit of taking summer courses. With Bobbitt, Flemming, Smith, Nevels and Negus, the team could play with 3 guards. Believe, we faced a few very good teams that played with 3 guards, one did fairly well in the NCAA tourney. Believe it was Arkansas couple years back. And, we may have a few other players that can hit the 3, such as Jawato and Harville. Also, have hopes that Valdes develops himself so he can play like Aaron Gordon (Arizona). Let’s not forget, many have hopes that M. Thomas blossoms into something special. So for ALL – Step UP when “opportunities” presents itself. At the end of the day, Gib has recruited well to have quality depth that compensates for injury and a “possible” non-qualifier. Still, looking forward to Sammi’s arrival and rim rattling dunks. must have been one, Sammis, that Gib and staff, looking for that late get, was willing to take chance on. Looks like he knew, perhaps Gib knew, he would have to take courses this summer before qualifying for UH. If Sammis is really determined, as much as he is in working out, he will make it in Fall. Similar to when Valdes first got here, he really had to hit books in fall as a preferred walkon, he wasn’t admitted until I think Fall semester. Then he ended up RS. Valdes is now on full scholarship. Lesson for Sammis, academics takes priority of the athletics part to even qualify to play DI ball. tako, if Aaron Valdes grew, let us say he is now legitimate 6’6″ and 215, he could play the 3/4 he rebounds really well on O and D glass at that size, because of his hops, and desire on the boards, that is part of his game, for now Gib should pencil Aaron in at an athletic 4 to help on the boards , get some blocked shots, deflections, and steals, trap the big men down low..Aaron can do it, he is very athletic. Too bad never had a healthy Dressler! We know it is hard, so late to get another 6’8″ big, to help frontcourt..I think Gib, and staff they cannot give up and hold scholarship..keep on looking until Aug Fall semester starts for a mature, academic sound, big, who can defend, rebound, and finish down low, not all world, just a workman athlete. Gib go to work, YOU HAVE TO RECRUIT ANOTHER BIG even if Sammis makes it in to UH this fall, which , I think he will! crazy thought or not. Wonder if Tyler Brown 6’6″ 250 ex UH BB player for one season 2011-12. as freshman , then went out for Football team. I wonder, since Tyler is in the Manoa College Baskeball Summer league on a team, if Gib and Tyler are thinking , if Tyler Brown has one more year of eligibility, to walkon to UH MBB team to help out front court, Tyler mature, good student, and is like Sammis, the weight lifter, strong as anything, and can use 5 fouls to give, he could just be that big body down , low, not to many guys could push him off the blocks. Tyler Brown if has one year of elibility left for MBB, would he consider, or can he be a walkon for UH MBB, that would help, if Sammis doesn’t make it this fall. Come on Sammis hit the books hard, we need you! JMO: Unless Tyler B has improved astronomically, believe he would be a liability on the BB court. Tako: Agree with you 100% on Tyler B! Certain that Gib is well aware and is already searching for another quality big – at least until Jankovich becomes eligible in mid-December(?). Why offer did Gib offer to Sammis, if he doesn’t qualify academically , if that’s the problem ? That happened in this first year too for some recruits. One poster on scout.com wsn was thinking there would be this trouble because all the other schools dropped out on recruiting Sammis. If Reyes does not make it into school it will be a major blow. Two unused scholies and no big men added to the roster this summer. Gib took a gamble now we’ll see if it pays off or hurts us. playhoopsa I do like your enthusiasm and posts but I must also admit it is a bit much. PONO: I understand the over the top enthusiasm, and I apologize to those offended. Do not mean to undermine integrity of site. However, I have always tried to look for silver lining, in situation or even, if need change in head of programs, I would agree. Sammis, good comment, about possibility big schools backed off because he was a too close to call qualifier. He had great spring showcase tournaments. Best if Gib made statement, not me or speculation, if he is 100% sure about Sammis, he could, or should say: Sammis had some work to do this summer to gain entry to UH. I am confident, he will do it, and we will see him In the fall. It would put Gib’s honor and reputation on the line, however it would take some real stand and fight like a Warrior to say that. As for searching for actually 2 bigs..that is what Gib does, or says he does from beginning. I am confident, he has NO CHOICE, but to get the best, available, even if a work in progress 2 bigs..they are out there, otherwise, small ball, and hope 3 bigs do not get into foul trouble. I support from Rocha, to Nash and now Gib…we all want UH MBB to be pono, and do well. Rough time for MBB, however, now is the time for Gib to hit that last second 3 pointer to win the recruiting game, get ncaa settled, and get ready to go to NCAA’s..This is the Positive site, and at least servante and warriorhaw…eagle, can see where I am coming from…even Dayton, Clyde, Wes and the Schmidts , I love the HC, the athletes, the school, I am alumnus and donor..so I just love the Men’s Hoops..Now is time for Gib to step up..
As for Tyler Brown..just throwing it out there to WI forum and Brian’s blog..Gib has to pull that rabbit out of the hat..he can do it..still has till August fall semester. There, PONO, did I say anything not true, did I dis Gib or the young student athletes. never..Love and Aloha for the program, pono…truth, honest the right way…Gib this is his moment.wish him the best..you watch, if sammis gets in, and Gib locks in one more good athlete, ncaa pau, and Hawaii has great SOS 2014-15 season schedule, plus UH goes NCAA…well, for the naysayers, and even I am nervous, we ALL EAT some sugar cane, lighten up fans, more serious things in the world..that is crashing down, it is only a game, however I love that game of UH MBB hoops..
Go Rainbow Warriors….what you want me to say..hate Gib, and hope team gets 5 year probation, never! be happy, don’t get loaded with negativity, it can cause you to be sick..
hey shout out to Northeast! Well possibility, true that Sammis Reyes, not qualify to get into second session summer school and summer league. He has to get work done to qualify for August fall UH semester, He is confident he will do it, and be here in fall. The good part? Tyler Harville, Brocke Stepteau, Dyrbe Enos, Roderick Bobbitt, Isaac Fleming, and Zach Buscher, can run and gun all they want..plus Mike Thomas, hopefully 6’9″ 225 by now, can throw down some tomahawks, blocked shots, rebound and hit some threes, run and finish, Mike, less we forget 3 star, much coveted Cali HS star…a great talent, and better student, ahead of schedule academically to graduate..
Hey fans, did I say anything wrong? Don’t think so..Pono…righteousness, good, honest, UH Rainbow Warriors. Warriors of the Rainbows..If guys, or gals want, pus, and blood, and hate, go to other blog as jjay says! Me never! Keep it positive, and welcome to the Harvilles, Stepteau, Bobbitt and Fleming, enjoy Hawaii, we need your all around game. Harville and Stepteau. legitimate chance to show HC what they can do to help team score! worse case scenario: if Sammis did not make it into UH. Hope he does. And Gib could not get another big to sign, which I am absolutely sure, Akana and Taylor and Gib are going full bore to lock in that final big. Returnees who are in system, they know the BWC wars, turning their weak areas to strengths, as Sammis had to learn, they all, including walkons, did great in school this year. Guards: Garrett Nevels, whom I believe will be in running for first Team BWC. Quincy Smith, another guy getting better by the day, in Bay area, he is a winner and team guy, will be solid PG, knows system, excellent student. Dyrbe Enos, had prime time SG and PG experience in BWC games. he with confidence can hit 3 or 4 three bombs in a row, great team player, only will be better. Brandon Jawato, big guard wing, 6’4″ 210 lbs, fully healthy, will be bombing those 7 for 7 three ball games, Brandon, excellent student. Nikola Filopovich, I haven’t heard if he is coming back, however he prides himself in defense, getting stronger bigger, and shoot better, excellent PG too. Isaac Fotu, all world, type, FIBA world championship with the NZ tall blacks national team going up against the best NBA type talent in the world. Isaac will be all BWC first team, and perhaps player of the year. Mike Thomas, he relax, plus get taller and stronger, such a smart student, and come on with great confidence, 3 star athlete legitimate…He is key, play the 3 or 4, he can go inside out, handle, pass the ball and defend..a real talent, plus better student..very coachable. Stefan Jovanovich, will be bigger stronger, he has offensive game and good timing instincts on shot blocking good rebounder, excellent student and very coachable too. Stefan Janks Jankovich, too bad have to wait till mid Decemeber, however that is the hand dealt…he is like Negus, a 3 star athlete, with length, inside outside game, 3 ball range to 30 feet, he ready for BWC play, he can destroy BWC teams. Bobbitt, out of Cali HS, very coveted combo guard, one of the best JC guards in the nation, turned down, St Mary’s, Oklahoma, and Missouri, big time defensive guard and score in and out, combo. Isaac Fleming, 20 year old, prep school 3 star athlete, with smooth High BB IQ game. he can do it all too, will have too this year. Tyler Harville and Brocke Stepteau, designated 3 point bombers, if their handles are good, use quickness and BB smarts to defend, get steals, deflections…will help. Deante Hearn, University of Hawaii, in summer league will try to walkon to UH, a 6’4″ guard wing..what I he is a diamond.. So there you have it..UH if they lose Sammis and cannot sign big…UH with Nevels, Smith, Fotu, Negus leading the way can win a lot of games,..just the concern, making run in post season..
Just being real, pono, nothing wrong with that..keep on smiling, UH will probably win more games by December early than UH FB team, though I hope chow wins 7 games and Hawaii bowl to save UH athletics. Hey supposed Warrior Nation whom I suspect if from sorority, or coeds tyring to prank WI, why not post your 50 positive, not abusive, not critical of other fans, on this site right now? Because you cannot think of anything better to do than attack others. including old, nearing 70 year old super fan, who does not dis anyone. And Pono, go ahead, post 100 comments in a row…WI great forum for All things Warrior basketball. I appreciate, every objective, good suggestion, good questions, good comments by all UH fans, who are pono. Warrior Nation…who used to be some one…go for it., post your 50 to 100 POSITIVE, not critical of old man comments.. come on you can do it..
Love your passion for UH MBB too..I been supporting, donating to UH MBB for over 50 years. I love it! Just having in system experience including RS year, JMO, I would go with..
this would be very athletic quick team. guys off the bench: Brandon Jawato, Dyrbe Enos, Tyler Harville, Brocke Stepteau, Zach Buscher, and Deante Hearn 6’4″ wing if he made team as walkon..
Braddah Q at it again!!!!! fjklmsfnjfl: hey million thanks for getting video updates on Q…NO doubt in my mind, Garrett, Qunicy, Bobbitt and Fleming will be good 4 man guard rotation, with other 3 ball bombers off the bench. fjklmsfnjfl, thanks some good news! Let’s not get too excited people. This 2014-2015 basketball team has not done anything yet on the court. Yes, let’s be positive, and I am about the possibilities if things fall into place. But, as we all know Murphy’s Law always comes up. Things happen! Reyes is now a question mark. Injuries happen. Off the court issues come up, coaches go on leave, players leave before the season starts or quit in season. All of this has happened at UH. It’s life. Nothing ever goes smoothly the entire season. I refuse to think about any postseason predictions at this point. We all hope the hype comes to fruition, but that’s way in the future. My only thoughts right now is to get through the NCAA investigation very soon, and secondly look forward to seeing the 1st game of the season and so forth. In the meantime, the players are working on their games to improve their skills and physical conditioning. The anticipation of another season gets more exciting as time passes. At this point, all teams are 0-0.
i think Bobbitt should be somewhere in your first lineup too. He won’t tolerate being on the bench. Love Derek’s comment, let’s not get too excited…. there’s cause to pause that we have something to get excited about. In some year’s past, we could not say the same. Believe with the additions of both Negus and Stefan, Coach could take a educated risk on Sammi. Believe he has too much of an up side. Additionally, if Sammi has aspirations of earning a college degree and playing at the next level he would be a good get. Plus, Coach has gone after high character people; believe if Sammi did not fit this mold, he would not have been considered. Agreed, the score is 0-0 at this point. Why? Because we have talent to get excited about. Whereas, the reverse could be true having no talent and in a hole to start. If Bobbitt is the real deal, I agree with islandman that it’ll be hard to bench ‘um. However, he has to EARN his time, ’cause all the Rudys of this world are fighting hard for theirs. Derek and tako..mostly the cheer squad..played bb and coach ..used to watch andre morgan with larry little or riley when coaches could watch ncaa summer league games from start..rules changed now..coaches would give running dialouge of their recruits..jack miller..sam johnson..strayhorn etc..real interesting however they tempered comments by saying summer league games for fun and gun no real defense..they never said they would win wac..as talent increased..you cojld tell their hopes for good season rose.. I might get on the loud bandwagon.. however love how number one guys did well in school..no felons..gib sat down with eac including walkons and told them what they have to work on..without qestion you can see Q’s better shooting form on 18 foot jumper..nevels range..fotu getting better with tall blacks nz national squad..I want to see skillset of new guards and thomas improvement in game and physically..
sure every bb team in usa is 0-0..up to coaches to put them on same page..gib upbeat..beat writer mcinnis upbeat and insider idea uh mbb comes out able to play postseason..sammis his challenge take care scnool courses to qualify for uh this year..
with gib not resigning and absolutey NO athlet bailing from team..totally confident uh mbb will not en d season 0-30..guaranteed..team become team old and new mesh uh mbb will challenge for title..march 2015 bet they are in ncaa or nit tourney allup to gib and team become TEAM!! Sorry about typos..uh mbb hope talent and negus want to shutup haters he and janks jankovich sec talent 3 star they have ability to shut up haters and doubters..they gonna do it..negus say why not aim high do not doubt..confidence..
Artie Wilson usually drafts a stacked team..derrick low..and his big Sammis Reyes!! He bummed sammis could not make it..I think enos on his team..
have fun uh mbb fans summer ball is here..rock and roll..smile guys!! hfan09..good observation.quincy was getting taken by that harville size guad..some .times turned over ball several times..very athletic..he has about less than 4 months to be more sham like..keith really took care ball. As the whole team new and old really have to work hard to be good team..talent is there….. desire and work ethic can help them get better.. Sorry..one more ,..hope stepteau sped up his 3 ball release and higher release point looks like in college he could get blocked..another preferred walkon who loves hawaii.great visi..sammis better get classes annd qualify this summer otherwise gib will have to get a decent frontcourt player..jake is right a lot of guys including preferred walkons wouldn’t mind playing ball in hawaiifor at least year..gib still gotta get another big sammis herevor not..gib will surprise us plus he will be at that sports feature event with christian this weekend..you know gib he will say exciting team..sammis okay and on brink of signing a guy.. I would like to see at least one guy from last year on the bench come in this year and turn heads. I’ve seen Trevor Ruffin, Carl English, and Bill Amis do a 360 from their first year. I like to use especially Amis for he had such a tremendous turn around in one year. Mind you Amis is not a particularly athletic player, but he used his strengths and improved on his weaknesses to eventually becoming one of, if not the top player on the team. All Amis did was dedicate his life to the game of basketball. That means go to bed early, rise early to practice, putting in the grueling hours to get better, listen to coaches, eating healthy, no staying out late going to parties or night clubs, and no chasing women. Easier said than done. Lots of sweat, pain, and sacrifice. No way around it. No pain, no gain. Any takers? Go Rainbow Warrors..work hard guys reap rewards in march!! servante you been SPOT ON..very insightful..should be good season..if guys work it..I can see negus..nevels..smith..fotu..thomas..the two stefans really coming on super strong!! Plus valdes might be another x factor terrific athlete,.. Sat. June 28 2014 manoa summer league..
guys like Sensley..Miah O. .Phil Martin..Geremy Robinson..plaing..
Zach Buscher..Dyrbe Enos..in town ,, I guess will play already..
cannot wait for bobbitt, fleming..harville and stepteau to start playing..we can see the new guards and possible more inside out scoring..